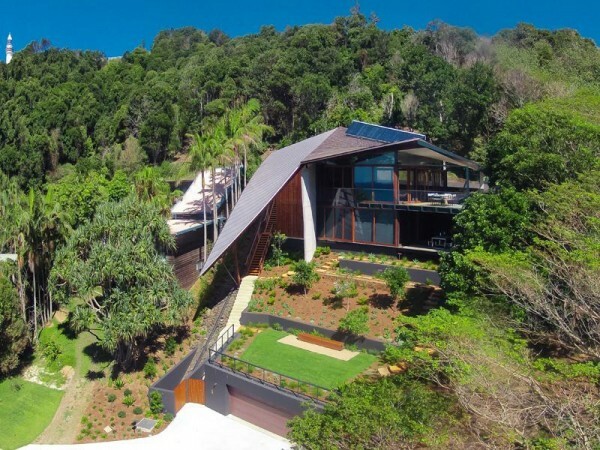 Perfectly located in the most protected area at Wategos, The Wing House is a real masterpiece of both architecture and engineering. 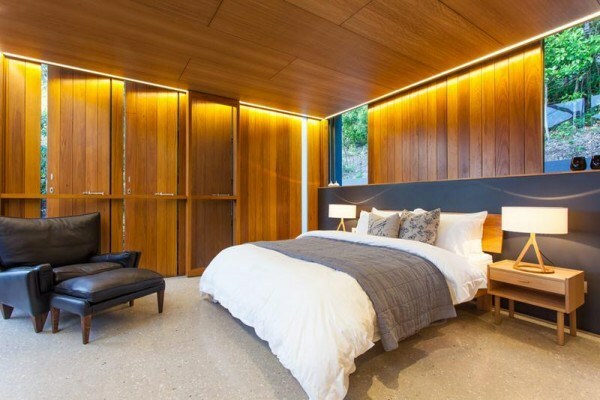 Shape and function go hand in hand to create a unique combination of steel, timber, concrete and glass. 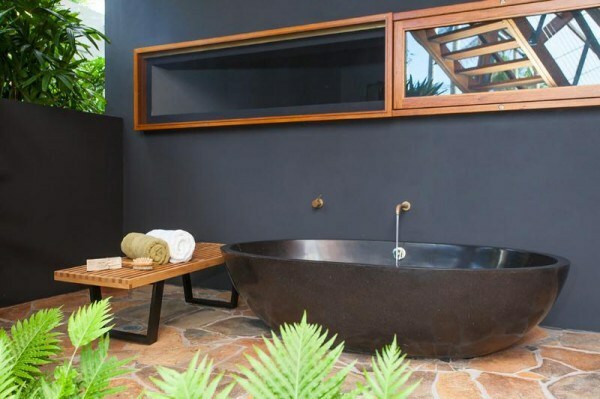 Part of the dramatic beauty of the house is given by its surroundings with the Byron Bay Lighthouse Reserve, the breathtaking views over Wategos Beach, the ocean and Julian Rocks before it. 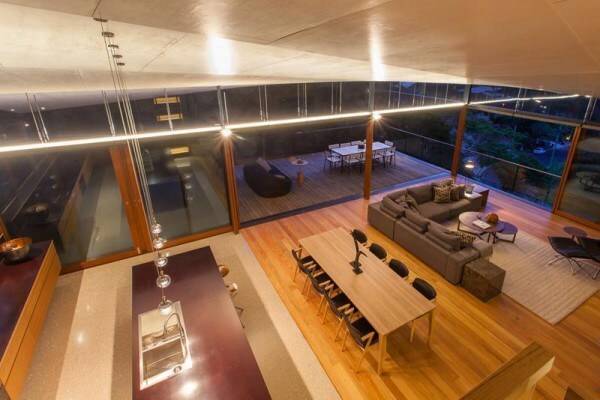 With its two levels, the building makes magical use of space and light. The main level upstairs mimics a series of timber boxes with a large timber door which opens into a magnificent open plan space with high curved ceilings and nice views to the ocean. The main piece of the kitchen is its timber island bench. 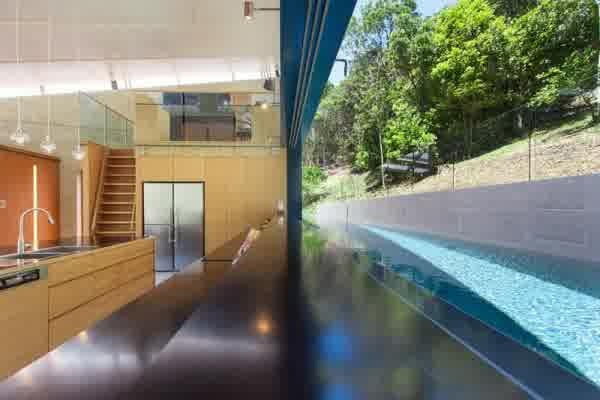 The kitchen windows look straight over the lap pool and the Byron Bay Lighthouse above. The lower level of the house is made up by a guest suite incorporating a quite spacious living space and an ensuited bedroom. Beside it there is an outdoor bath, a gymnasium and another bedroom. By a step ladder you get access to an office which also incorporates a perfect sleeping space. It is also on this level where one is offered outdoor entertaining and access to the pool and gardens around the home. 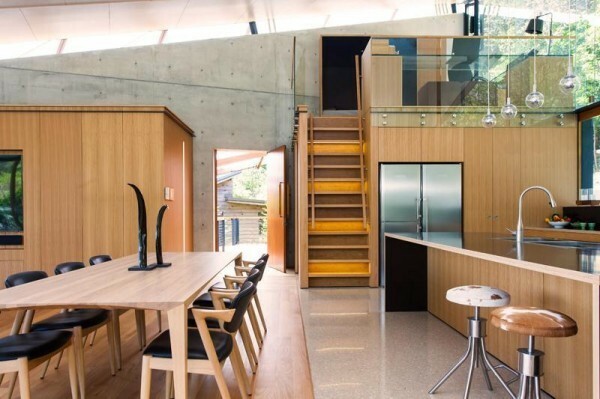 Another characteristic feature of this luxury home is the inclinator which provides an easy alternative to the timber stairs connecting the levels of the house.